Plumbing emergencies are no fun, but when you own a home for decades, they are pretty much an inevitability. Something related to plumbing will need to be fixed at some point, and it can be very helpful to know ahead of time exactly what these emergencies could be. Some kinds of emergencies are very rare, while others tend to be extremely common. In this article, we’ll focus on some of the most common ones that often occur, as well as exactly how to tackle them yourself. Sometimes, an emergency plumber will need to be called, but other times you’ll be able to handle the problem yourself. It just depends on the issue. This is one of the worst plumbing emergencies that can occur in your home. You’ll need to call an emergency plumber immediately, so make sure you have one selected so you can call him or her for their services at a moment’s notice. While you wait for the professionals to show up, you must shut off your water via the main shutoff valve to your house. This should stop the water flowing and curb the problem for the time being. Turn on your cold water taps after shutting off the water supply in order to drain them of trapped water and steam. The plumbers will do the rest. Frozen pipes may lead to burst pipes, but even if they’re just frozen, take the same first step as if they burst. Turn off the main valve, and thaw your pipe with bottles of hot water on the pipe nearest to the tap. Don’t use flames or anything like that, just hot water. Also, be sure your pipes are insulated so the problem doesn’t occur again. Turn off the water supply that corresponds to the leaky fixture and check the fixture’s trap for debris or other particles that might cause the fixture to overflow. You may need to contact an emergency plumber to fix the problem, so don’t be afraid to do so. There are certain tools that can be used to unclog drains, including plungers and snakes. These will often do the trick, but certain clogs are often surprisingly difficult to remove. You can also use liquid and gel solutions like Drain-O and give those a try if you wish to try even harder to solve the problem yourself. 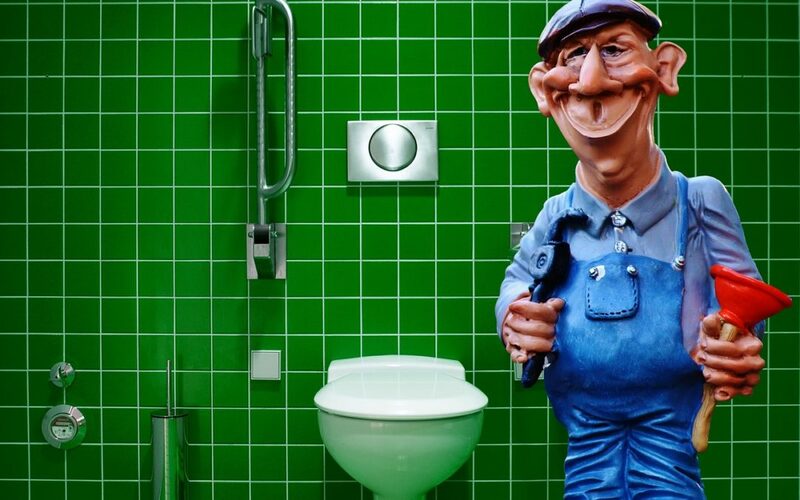 If nothing works, give your plumber a call. Gas leaks are far more serious than any of the other items on this list. Gas is deadly, and can cause explosions or air poisoning very easily. Household gases have smells added to them so that you can smell them if they happen to leak. If you smell gas, evacuate your home and call a plumber or gas company. Some plumbing emergencies are nuisances while others, such as gas leaks, are far more serious. Either way, it’s important to know what issues could be affecting your home so that you are prepared for them and so you can take preventative measures to make sure they don’t happen.